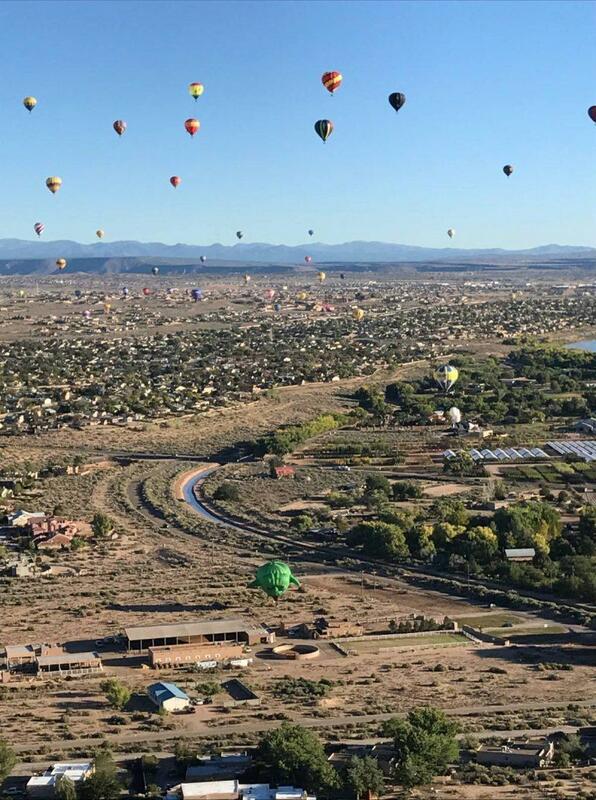 I always said that if I was going to ride a hot air balloon, it was going to be in one of two places: Cappadocia or the Albuquerque International Balloon Fiesta. 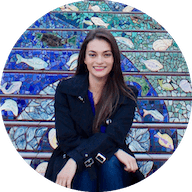 Both seemed out of reach for me this year, so I put ballooning on my long-term travel goals, right up there with going on safari. Imagine my surprise when I received a wedding invitation from a friend announcing that she was getting married the weekend of the festival, in Albuquerque! It was like fate was telling me to go, and it was too good of an opportunity to pass up. I booked a flight, stayed in a hotel room with one of the bridesmaids and managed to secure a spot on a balloon ride during mass ascension Sunday morning. The wedding was Saturday, so I didn’t get much sleep, but I wouldn’t change a thing about the experience. There’s something magical about seeing hundreds of balloons take off at once. The Fiesta is sponsored by Canon and is a photographer’s dream. Whether you’re in attendance on the ground or book a ticket to take off in flight, you’re sure to capture unforgettable photographs. Every year, new shapes are added to the roster so you never know what you’ll see flying in the sky, from Darth Vader and Yoda to a giant pink elephant. Local residents embrace the festivals, coming out of their homes to photograph the balloons and wave to those in the air. It’s a good thing too, since you never know where the balloons is going to land. Since the ride and landing are dependent on the wind direction, the basket could end up in the street or in someone’s backyard. There’s always a chase crew following the balloon while in flight to keep the pilot updated on conditions and help with breaking down the balloon post-flight. It’s no easy task, with the balloons spanning more than 70 feet wide and made from tough, flame retardant fabric. 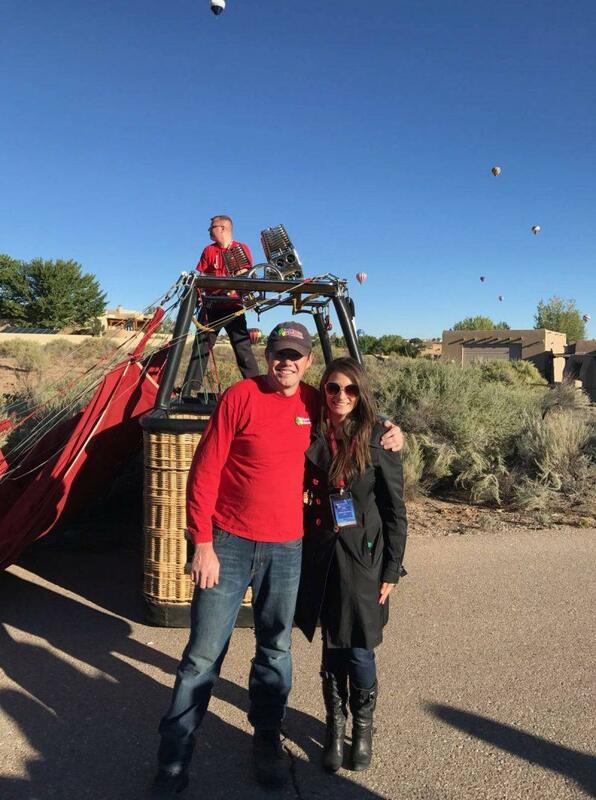 Was it worth waiting to a hot air balloon ride at the Albuquerque International Balloon Fiesta? Absolutely. Here’s everything you need to know before attending. 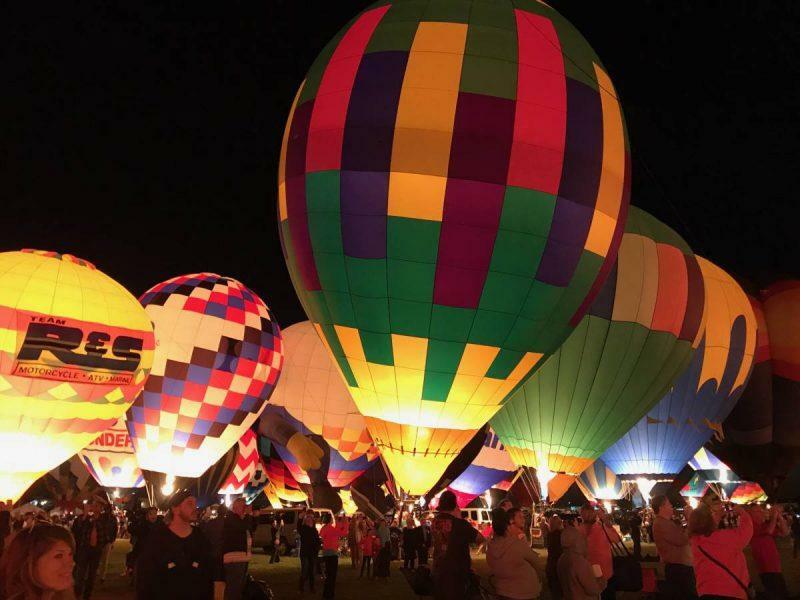 You can get Balloon Fiesta tickets online or at the door for just $10 a person. General entry doesn’t usually sell out, so you don’t need to worry if you didn’t plan ahead. This isn’t a traditional festival with day-long events and marathon programming. Instead, expect there to be two bursts of activity throughout the day–the first early morning, like at 5am, when the first balloons start to get ready for takeoff. By noon, everyone has gone home to take a nap and the place looks like a ghost town. The festival picks up again around 4pm, with people getting ready for afternoon rides and the evening glow. You have to buy a ticket to attend each session, day or night any day you choose. 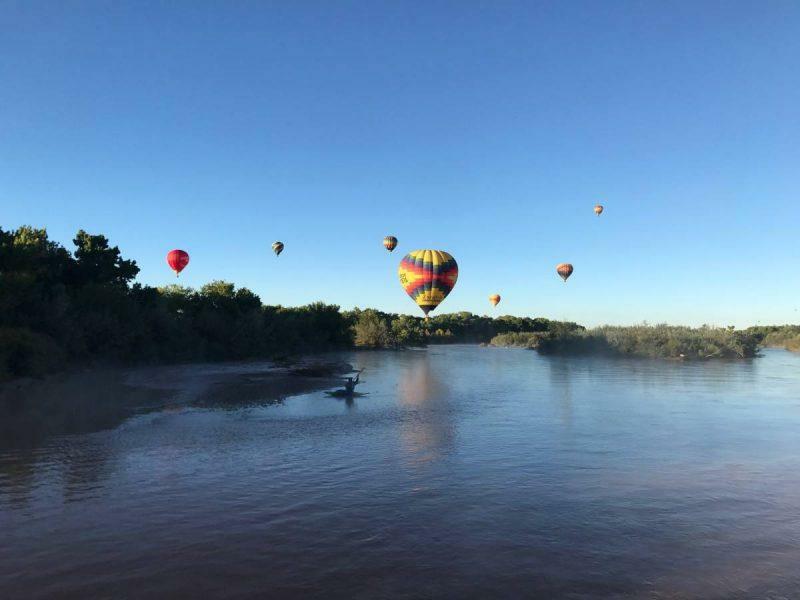 The festival itself spans two weekends, so you have plenty of time to see balloons in flight. If you want to see mass ascension, however, plan on going during a Saturday and Sunday since that’s when all the balloons are in the air. To avoid the crowds, you can attend activities during the weekdays, including flight competitions. Parking can be difficult at the event, and is costly. At $15/car, it costs more to park than to enter the festival itself. 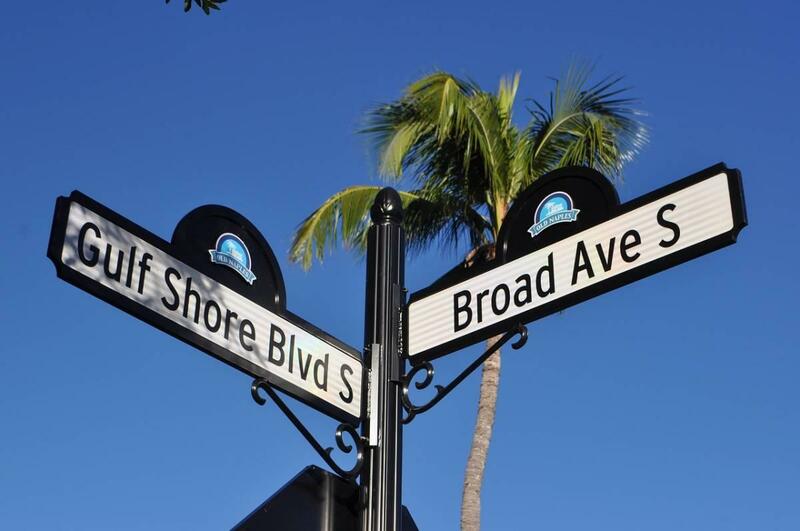 For these reasons, many opt to go with the Park and Ride option. I was able to park in the general parking lot on-site each time I went, though the first time I sat in traffic for about a half hour without moving and was scared I would miss my flight. There are golf carts that help chauffeur the elderly and those with difficulty walking since it’s a vast parking lost and the festival is very spread out. The terrain is uneven, so wear comfortable shoes and be prepared to walk. If you arrive with enough time, you should be able to find a parking spot. Friends who took the park and ride option found they had to wait even longer to park and be shuttled over. Mass ascension is one of the most incredible things I’ve ever witnessed. If it sounds like a religious experience, that’s because it practically was. Words can’t describe the joy that comes with seeing 700+ balloons all around you as you float calmly through the air. It is worth every penny, and boy did it cost me a lot of pennies. The ride is $450 to be exact, and the only company that takes off during mass ascension from the festival grounds is Rainbow Ryders. They subcontract other companies to come in and fill the demand for balloons. Even so, spots are limited and sell out far in advance so book as soon as you know you’re going. You may have to charge this one to your credit card, but you’ll get a view that others from the ground simply can’t see. I was lucky to be directed by Captain Mark O’Neill with Sundance Balloons in Canada. He and his crew drove 3 days to attend the Balloon Fiesta, and their reputation precedes them. When I checked in, I was informed that I was lucky to have been assigned a famous pilot. It turns out Captain O’Neill is a record-breaker, recently named the first pilot to ascend above 40,000 feet in an open vessel. He is a seasoned professional, displaying excellent judgement and precision in operating the balloon. He’s been on countless rides, but even he had to admit that we were blessed with the perfect morning. After landing, we celebrated with a champagne toast. Since balloons are so unpredictable and prone to landing in unforeseen spaces, champagne was initially introduced into the ride to signal to those on the ground that you came in peace. Nothing helps you forget about the giant balloon in your yard like a glass of bubbly! The glow sessions at the Balloon Fiesta occur around twilight, and were a sun surprise for a new festival attendee like me. Instead of taking off in flight, the balloons stay grounded but “fire up” periodically throughout the glow session to light up against the night sky. In total, the session lasts about an hour and is followed up by a laser and fireworks show after. Many people leave right after the glow in order to beat traffic, but you’ll likely sit in traffic either way so it’s worth enjoying. This is also a good time to do last-minute shopping as the stores will have less foot traffic than they do during the day. Make sure to time your picture-taking and be ready for the “all glow” countdown, which counts back from 10 before all of the balloons fire up at once. It’s breathtaking, and seeing all those balloons fill up like giant night lights will make you feel like a kid again. There are restrooms on-site, though they’re more of the port-a-potty variety so you want to avoid frequent trips. There’s also plenty of food at the festival, and some wine. There are spirit tents but you have to stay and drink on-site. Canon has a table at the Balloon Fiesta as its title sponsor, and they offer free lens cleaning. There are some other tents with photo opportunities, like a basket you can sit in and have photoshopped. There’s no live music, but there is music generally splaying on speakers in the background and occasionally you’ll hear announcers. You can walk around during mass ascension while the balloons are getting ready, just stay a fair distance away fro any flames or fans. 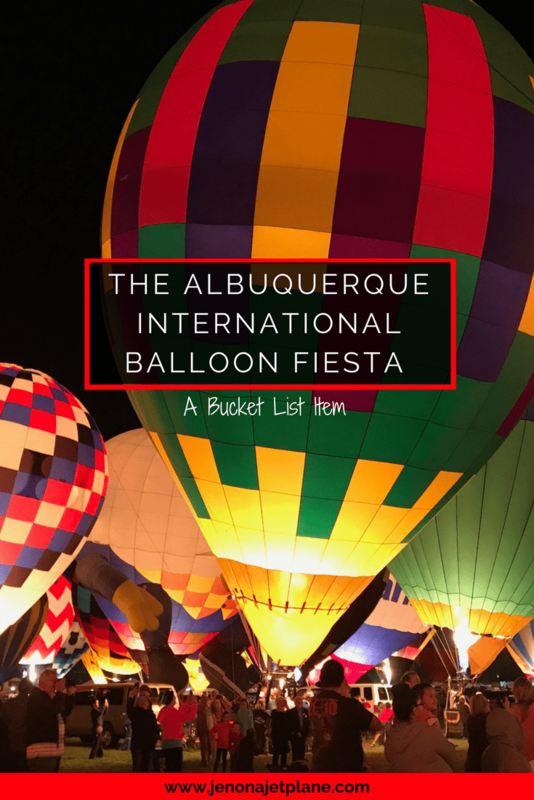 In general, Albuquerque events, restaurants and attractions will be insanely crowded while the festival is going on. Book your hotel well in advance as rates go up for the event, and avoid attractions with the Sandia Peak Tramway since lines are long and the weather is unpredictable. 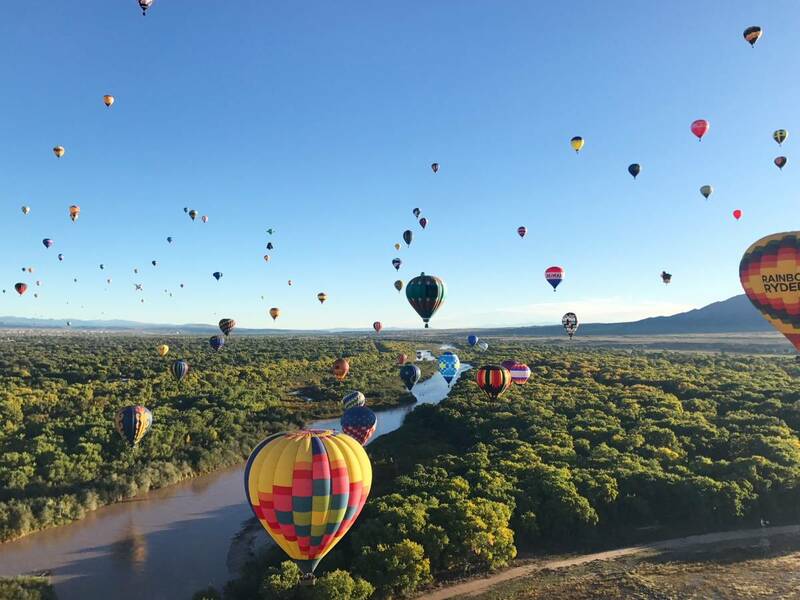 New Mexico is full of bucket list activities you can’t miss. Need more US travel inspiration? 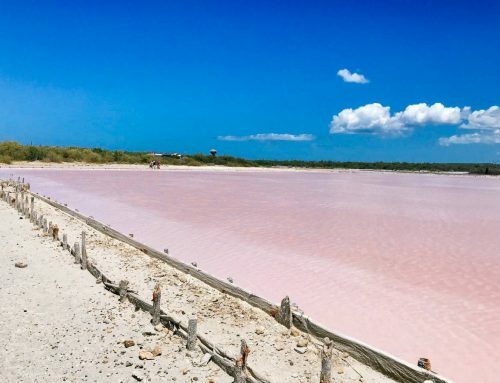 Click here for a list for 2019’s up and coming destinations. Like this post? Pin me below. If you are traveling to Los Angeles in November and would like to come to my studio for a visit by appointment call me at 310.390.0200. You have visited me on my Instagram page and liked at least one of my artworks and I saw that you were planning to come to Los Angeles in November. You can see more of my art work on my website wwwGordonArtPlace.com. Let me know if you are interested. My studio is within about 12 minutes of the LAX airport in Culver City. I love that fate literally told you to go! haha that’s happened a few times to me. 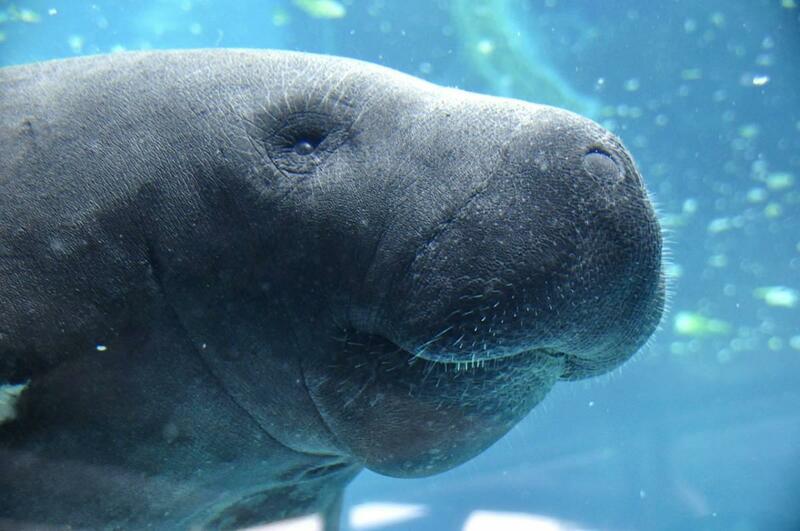 Okay but seriously these photos are amazing. I’ve been wanting to go for so so long!! Haha gotta trust fate! And thank you so much! 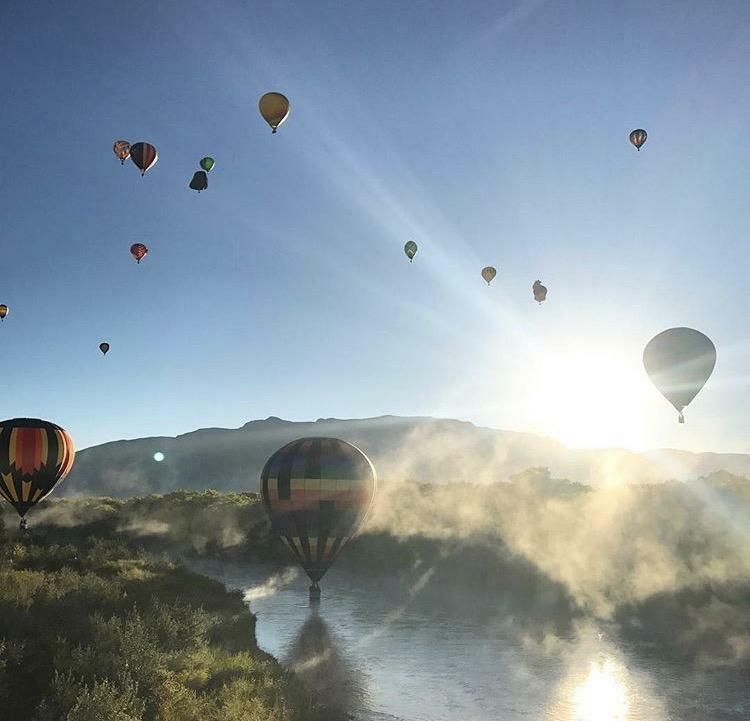 I (Ed) went to the Balloon Fiesta a long time ago, and I agree that it’s magical, especially the mass ascension and night glow. It so overwhelming for your senses that words just fail you. I love it that you got to ride with a famous pilot during the mass ascension. That is so cool. 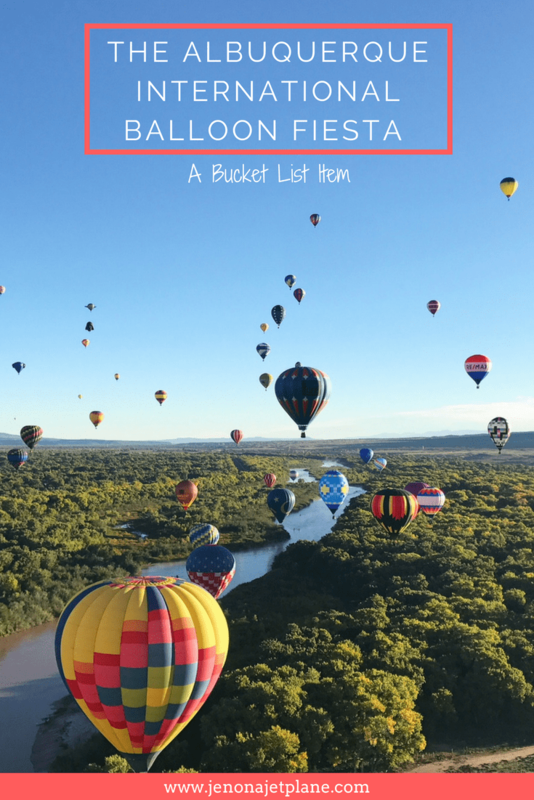 There are so many balloon festivals, especially in Cali/NY/Fl, I’m eager to go to more! This is absolutely on my bucket list too! I bet it would feel like a religious experience when all the balloons rise at the same time. Glad to know all these helpful tips! That’s a good way to describe it, and my pleasure! Actually riding in a balloon will be on our agenda next year. We had too much of a good time being on the ground during the mass ascension – we have to go back next year to do the ride! Thanks for sharing all this information! I really want to attend this festival. It’s something that I’ve thought about often, but having all the facts and information here makes it seem much more doable. I always find hot air balloons fascinating and I haven’t been on one yet! I would definitely hope visit this hot air balloon fiesta one day soon. I have yet to go ballooning, let alone doing it with a whole bunch of other people! 450 is a hefty price tag though, but I think theyre all around the same price eh? I first learned about this festival a few months ago and I’m thinking of visiting next year! It will be awesome to see so many balloons in the air all at the same time. The glow session sounds amazing too!! I highly encourage you to go! It can be costly so plan ahead of time cause the hotels get crazy on what they charge ($200 for a Days Inn???) but it’s worth every penny. Such a magical experience! Amazing photos of the Balloon fiesta, I have always wanted to go in a hot air balloon. OMG!!! That is definitely fate! Im so happy that you managed to enjoy this amazing experience 😀 I definitely wanna live it too in Turkey, Capadoccia! Long term travel experience tho 🙂 Thanks for the amazing post! That’s so cool you went up in a balloon! I went to the festival this year, and another fun option, which we did, is the Gondola Club, which is like VIP-access to the festival – food, drink, entertainment and parking with it’s own fast lane – for $100, very worth it!